Find out what it's like to work with us view the video below. If you like what you see then apply for one of our live jobs! Consortio is always interested in hearing from individuals who think they will make excellent recruiters and haven’t been in the industry before, as well as existing and experienced recruiters. Remember that the best recruiters can often be those who have never tried this career in the past. We hire based on attitude and motivation, not necessarily having previous experience or understanding of the sectors we work in, although both of these can help! We are hungry for success and you need to be too. Success is different for each of us, but so long as you have goals and objectives that you wish to achieve, you will fit in. We work hard, and expect the same from anyone who comes to work with us. You should expect to walk in the door first thing and be raring to go. A positive attitude is a must, to fit in at Consortio. We love personal development. Everyone should continue to learn throughout their career, there should be no limits. We will train you to be the best, through regular objective setting, and of course we will always positively critique your style so that you can improve. Reviews happen every 3 months where we discuss your progress and re set your goals. This might be to get the next pay rise or promotion, or simply to develop your understanding in a new area. Whatever the goals, you will have our support. 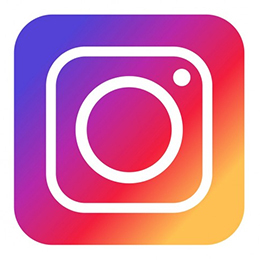 If you want to see what it's like to work for us why not follow us on Instagram? You can see what our office enviroment is like and some of the fun things we get up to! Find us by searching Consortio_Recruitment or click the logo below. Below are the current jobs we are hiring for. Read more about our roles below and click on the apply link if you're keen to learn more. Consortio is currently looking for a Recruitment Consultant to join our maritime team. If you're a motivated and hungry sales person or someone keen to get in to sales then look at applying to our role!